Thanks for all that info Peter. No flip filter then? 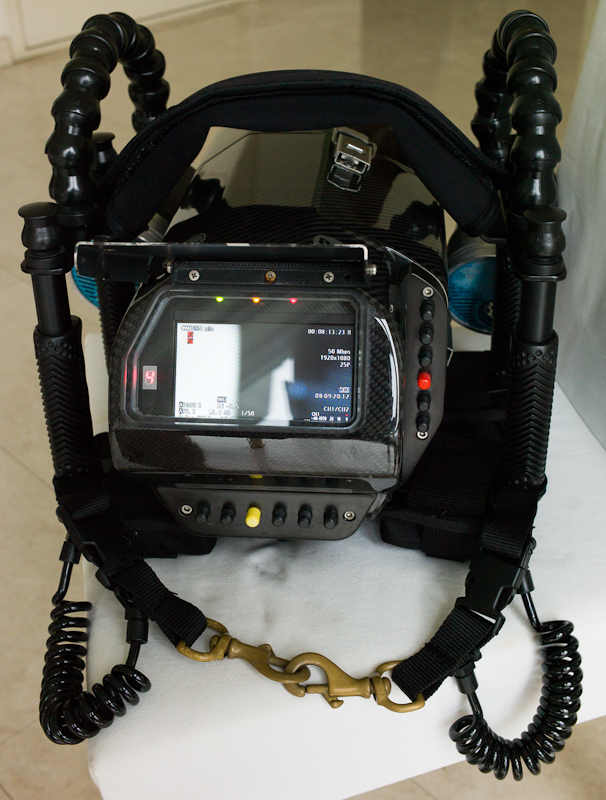 Interests:Scuba Diving, Photographry Underwater Video. One of the great features of the BS Kinetics housings is ONLY 2 o-rings. And they are big fat round o-rings that are easy to inspect and clean. No hidden o-rings building up salt or hiding grains of sand. So, the lack of a flip filter and the necessary hole through the housing is, IMHO, a good thing. As far as "red filters" go, this camera does not need one. 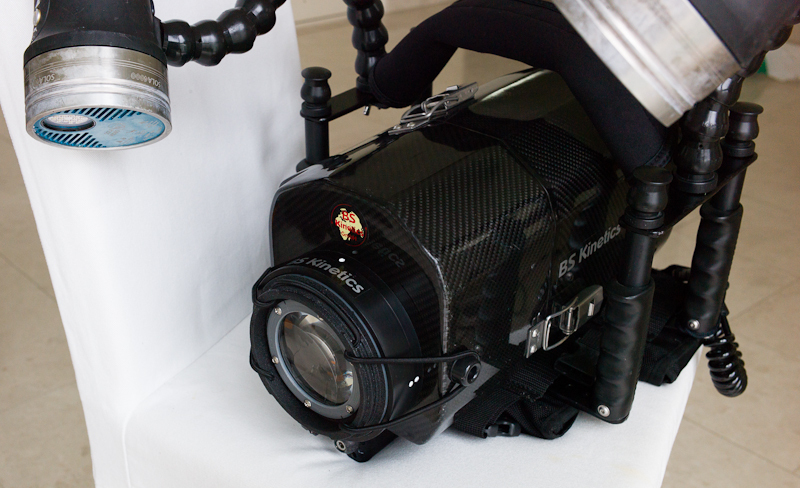 The WB options, combined with the color-rich 422 footage, give you all you need for good color balance. You can see from the attached photos how I do macro. 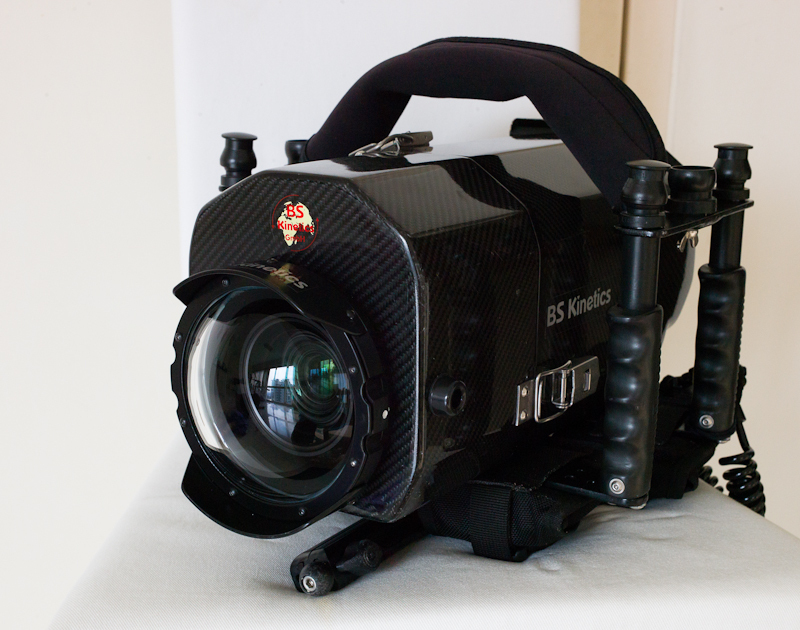 The wet lens sits on the top of the housing, out of the way. Just "flip" off the bungee, "pop" it on the front port, and "stretch" the bungee over the lugs on the side. (actually don't need that last step because the wet lens will stay in position on the port because it is a fine fit - but it keeps the bungee from floating into the image). Wich kind of remote controls have you on housing? Further to my post above, here is a photo of the controls on the BS Kinetics Takla Makan. All the usual data from the camera is displayed in the monitor over the image. The mode number for the lower range of buttons is shown to the left of the monitor. 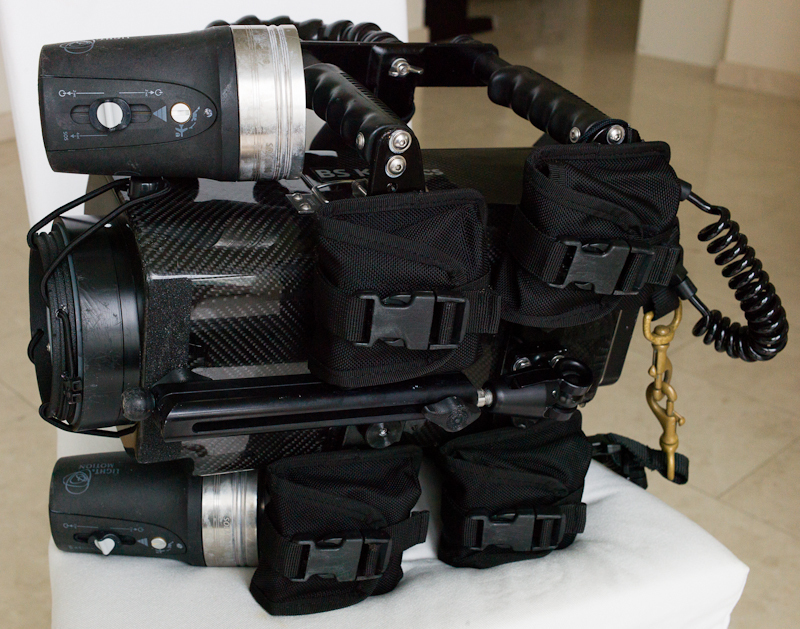 The 4 weight pockets, each holding 1 kg dive weight. 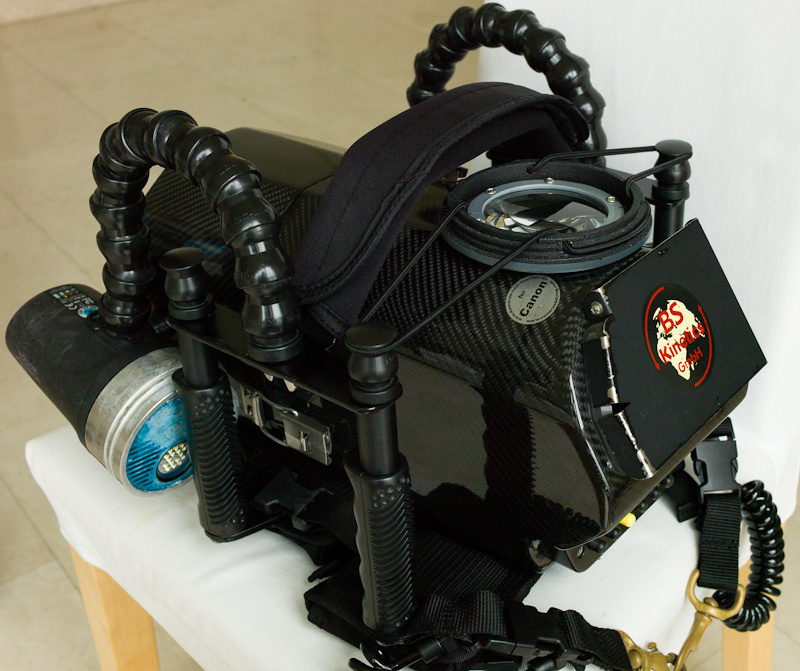 This enables you to travel light and add the weight when you get to the dive boat / resort. Having 4 kg below the housing keeps it very stable. The extensible brass clips to hang the housing off the front of the BCD for hands-free ascents, etc. The macro lens in place on the front flat port. There might be better setups out there but this one is working great for me. Edited by peterbkk, 08 September 2012 - 01:15 AM. Just to complete the picture, here is a photo of the housing with its glass dome port in place and the WA adapter on the camera inside. Thanks very much for all the info and pics Peter. It seems like a nice setup in many ways. - How coarse are the manual focus buttons? Can you do nice small increments when adjusting the focus and have you got access to peaking? - What's the situation re. ND filters? I'm reading that the XF100 has auto ND filters. Any problems with blown out highlights? Yes, auto ND but, if you don't like them you can turn them off. I have not had a problem with blown-out highlights. 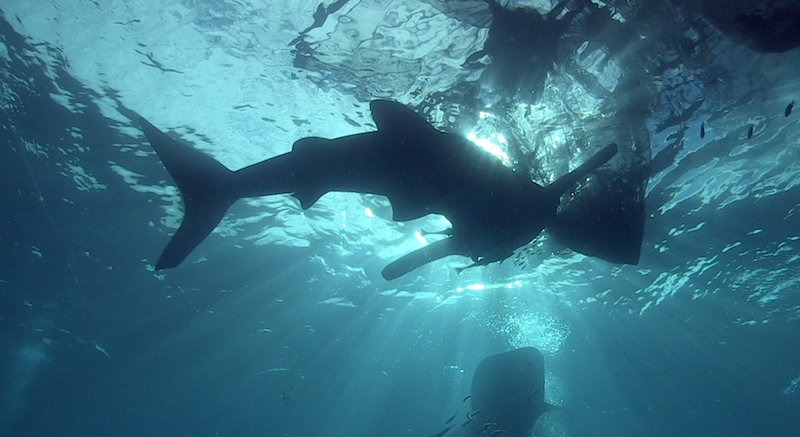 I am editing some footage of a whale shark shot from below with the sun popping into the image around the shark. The camera dealt with it fine. Even the color balance was OK. Here is simple screen-shot from the editor. It doesn't do the footage justice. In the video, the sun flickers around the whale shark with shafts of light playing around. But, you can see how it handled the extreme highlights.